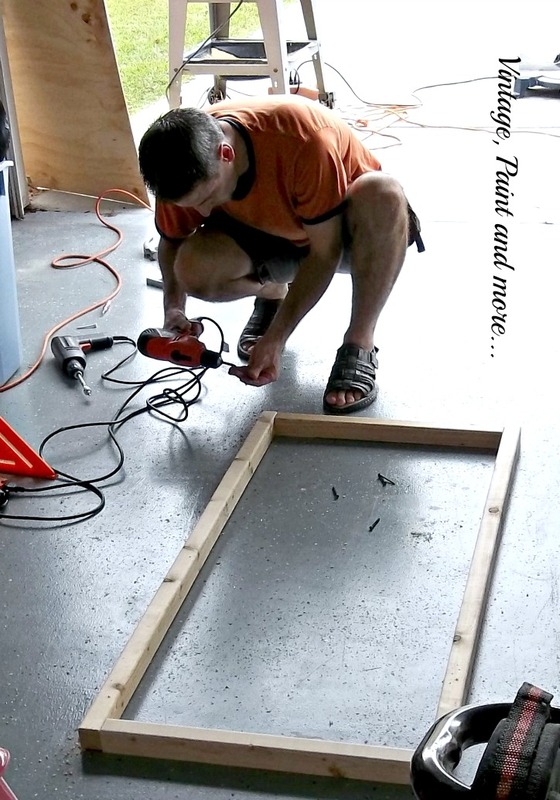 Today I am going to show you a "little" project that the whole family worked on together. 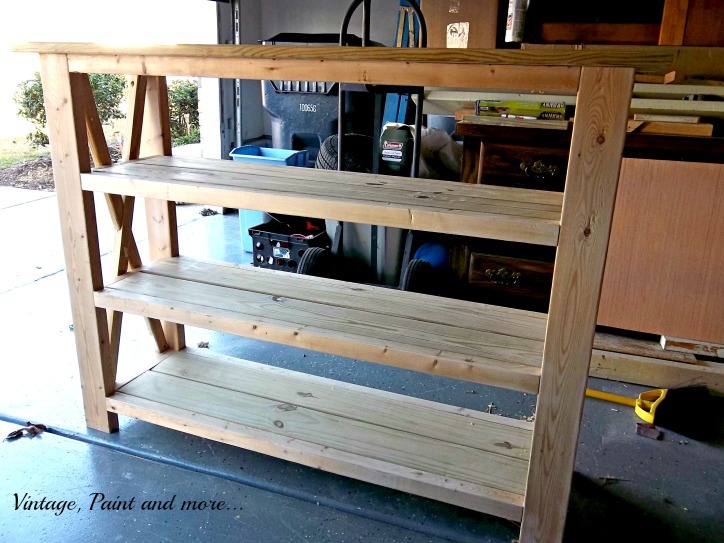 This is a shelf unit we built for our granddaughters. 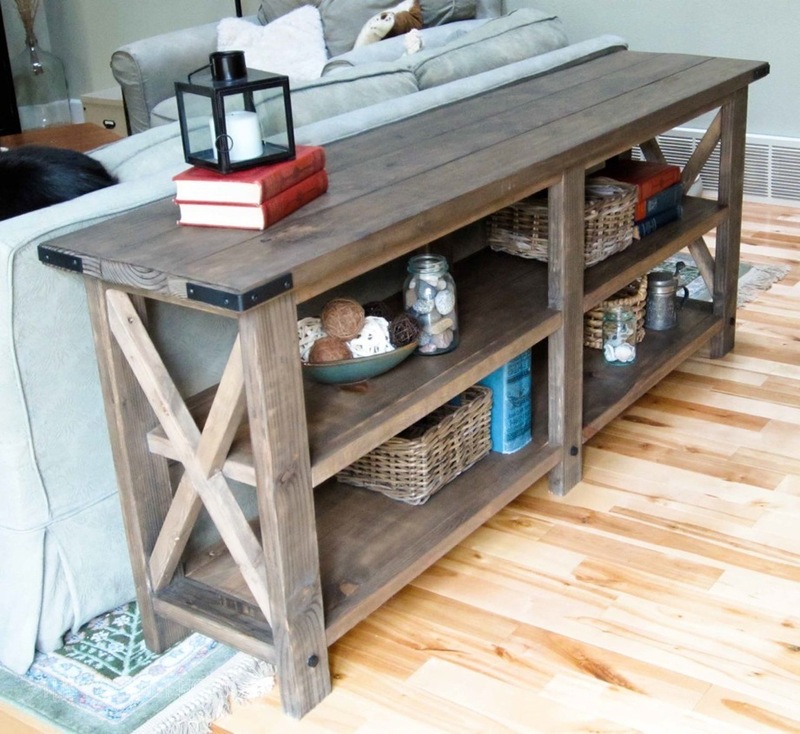 It is actually our version of Ana White's Rustic X Console Table. 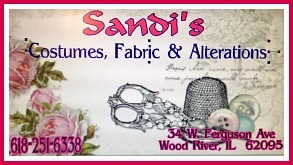 You can find her plans here. If you haven't checked out Ana's blog do so. It is amazing what she can do and there is a plethora of plans to drool over. I already have my next project for the family picked out - (just don't tell T yet). 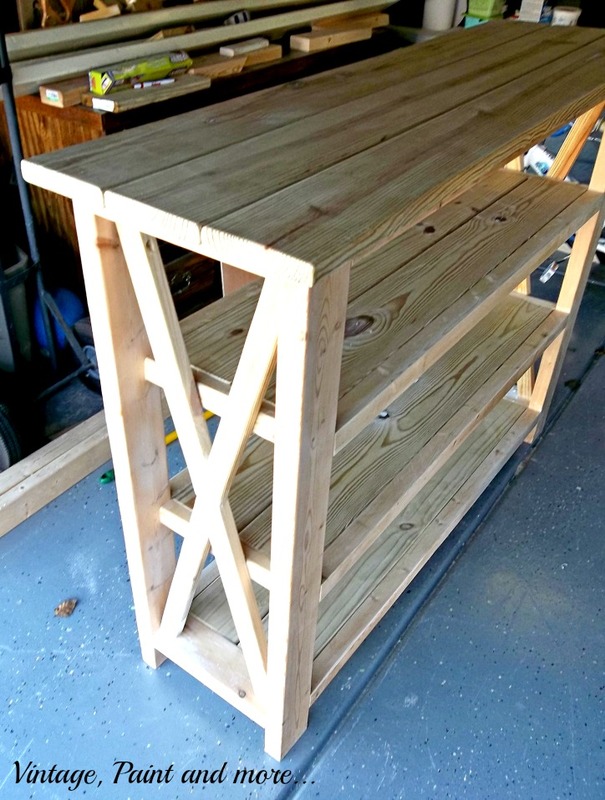 I do not use power tools therefore I do not build furniture but, T says that it was not a difficult project and he had it finished in no time. Isn't it great - so rustic. You could actually just leave it as it is or stain it at this point. I love those X's - that's why I picked this table. However, leaving it at this stage was not an option. The girls wanted a worn beachy look for their room. So, we set to work. I actually forgot to take pics during the process. I get started and it's full steam ahead. 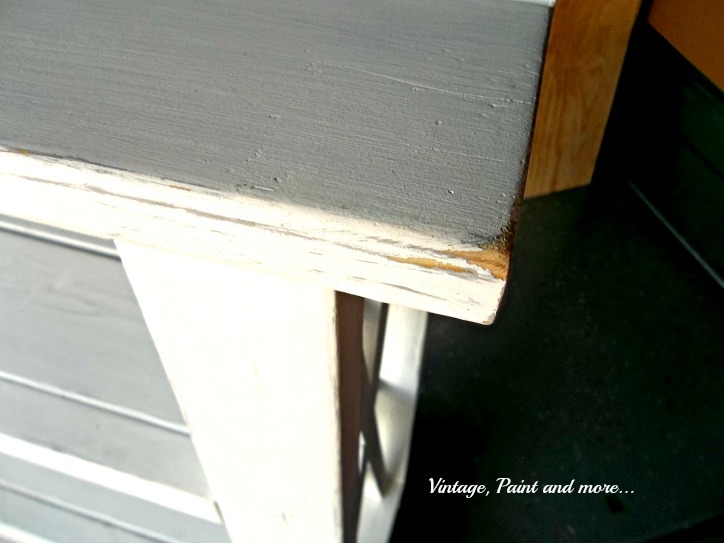 I started out with a coat of my homemade grey chalk paint. I cannot tell you the color because I mixed it. I simply put black craft paint in my white paint and mixed until I got the shade I was looking for. 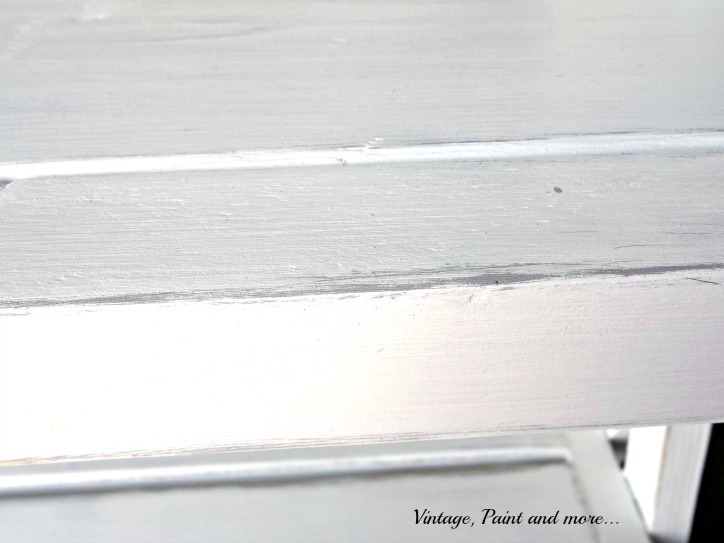 Then I put on a coat of white chalk paint - again my homemade version made from Valspar Anthem White. Then the fun began.I must say this is my first experience at distressing a piece of furniture. I was nervous about how much to do so I am sure I could have done more but kept it not so distressed. As you can see here the grey peeked through the white just right. Check out that awesome X. The reason we chose this project. And best of all the girls love it too. So it was delivered to them and now houses their TV, books, DVD's, CD's - you get the idea. Everything a teen girl needs to store on a shelf unit. Their Mother loves it also - it helps to organize their room as much (as a girl's room can be organized). I love doing family projects- involving everyone and working together. Does your family do projects together? I would love to hear about them in the comments below. I answer all comments with email. 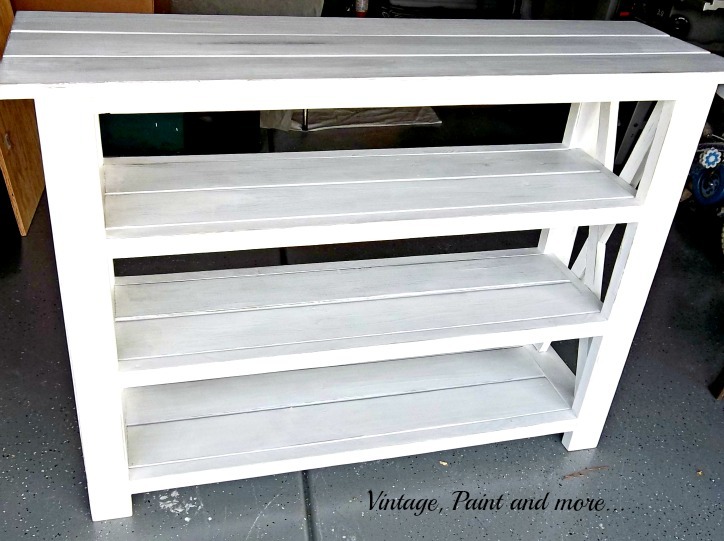 Charming shelf that you guys made...would love to have you share it at my party on Monday. Great shelf and I do love the X on the ends also. We just recently, like the other day built a couple of shelf units, looking at your makes me wish that we'd put the X's on the ends too. I found you via Debbie's Newbie Party and am now your newest follower. 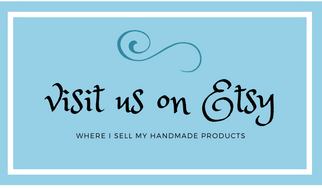 I hope you'll come by for a visit to my blog too when you get a chance. Wow Cathy - that is soooo impressive - I just love it! Hi Cathy, I'm visiting from Debbiedoo's. What an awesome project! I've been inspired by Ana White also, but have yet to do a piece of my own. Thanks for sharing it! And the finished project is charming!! 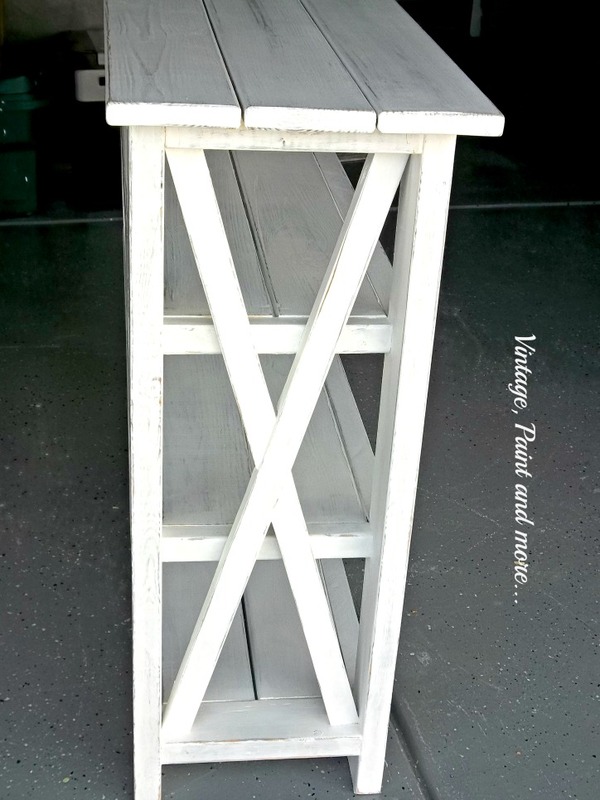 Love that cottage feel and I like the way you distressed the shelf! LOve this piece...I want one too!!! 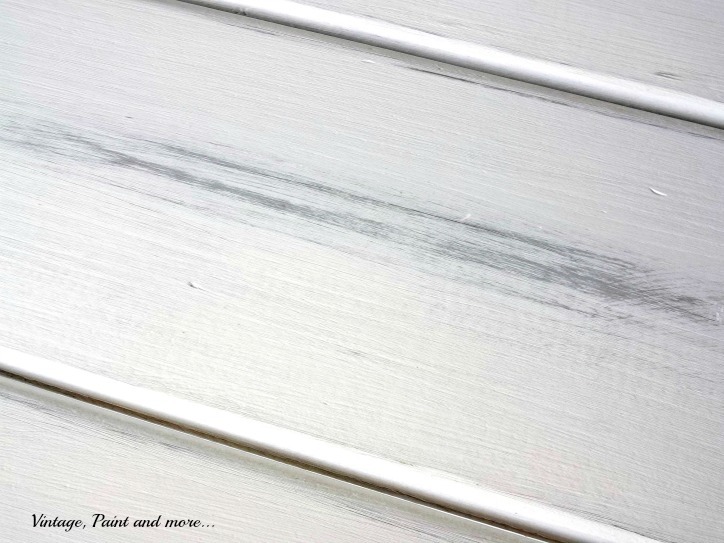 THanks for linking up to the favorite furniture makeovers of 2012! Awesome job you did. Thanks for sharing! Your family project is totally awesome! Great mods on this project! Thanks for sharing!